The commercial real estate development and management company also owns other high rise buildings throughout Manhattan’s Financial and Midtown Districts. Each day, thousands of tenants, staff, vendors and visitors pass through the building’s large glass lobby. And of course, after business hours, the doors to the building need to be secured. Efficient, integrated security systems management for the Financial District property renovation. Everyone loves the iconic skyline of Manhattan. With visions of Mad Men, countless New York City-based films and television shows, the Art Deco, Neo-Classical and Modern-inspired architecture – not to mention headquarters to some of the world’s largest organizations – having a 10004 ZIP code is the place to be. And one of the most desirable locations is located in the city’s Financial District. The 35-story, Class A office building, managed by one of the leading real estate development and management companies, features 975,000 square feet of office space with generous common areas, sophisticated private offices and expansive windows with sweeping, light-filled views. Plus, the convenient subway access makes this building a key choice for retailers, businesses and professionals. In July 2016, the Financial District building was undergoing a large renovation and part of that was to upgrade its access control and security solution. Working with architects and tradesmen during a renovation, along with allowing for permit approvals – and the general flow of day-to-day tenant and public traffic – makes being creative, flexible and keeping a project to schedule a priority. Which is why real estate management company turned to Care Security Systems’ expertise in the commercial real estate and management field to deliver a reliable, innovative security solution. It takes an experienced team who can review the current security situation, understand the building plans, recommend appropriate security solutions, and have the vendors and technicians available to meet the ever-changing needs of a new-build or property renovation. After all, Care Security Systems understands that the company is part of a larger team and any downtime is extra money spent to complete the project. Along with accommodating changing timelines, Ribowsky noted that a large part of the Financial District project involved a high level of creative security design. Most people don’t think about the access control systems, cameras, intercoms, fire and burglary or cybersecurity systems when they enter a building. And they shouldn’t – unless the security is meant to be obvious. In this case, it was not. “The building’s lobby featured a custom, sleek, steel-and-glass security check-in desk,” he says. “It’s the first thing people see upon entering the building and it needed to impart a modern image consistent with the entire structure.” Care Security Systems developed a unique card reader solution incorporating a dual system of a standard reader plus a barcode reader – all undetectable within the glass-enclosed visitors desk. Each day, thousands of tenants, staff, vendors and visitors pass through the building’s large glass lobby. And of course, after business hours, the doors to the building need to be secured. The architect designed the doors to be pure glass with no steel or infrastructure to house a vital locking system. So how do you secure the very first entry into the building? Once inside, these same people must pass through the turnstiles leading to the building’s three elevator banks to get to their destinations. The renovated building required more sophisticated technology to still make access easy, while also providing much-needed reports for who is coming in and out of the building – and where they were going. 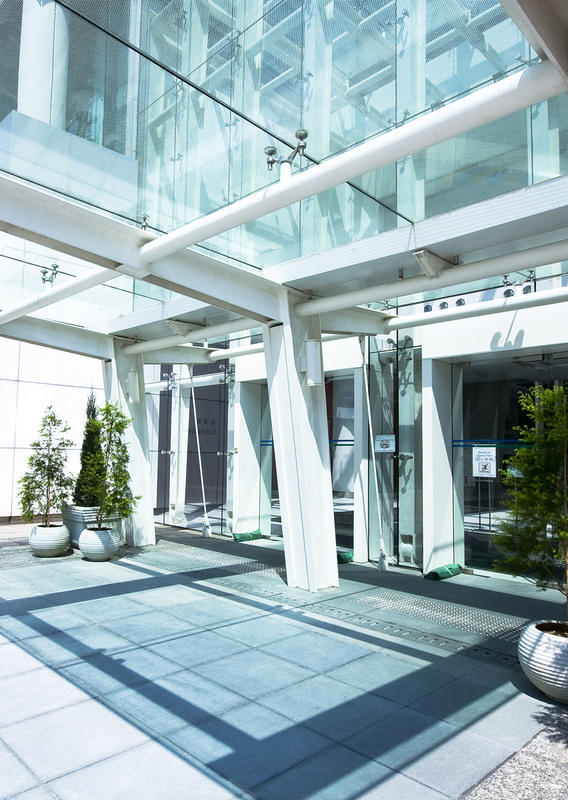 Care Security Systems installed new optical turnstiles to manage the building’s bustling traffic flow and to provide the vital analytics. One of the showcases of Care Security Systems’ Financial District installation was what was not seen by the general public – a hidden elevator access portal. The facilities and maintenance personnel work from locations at the back of the building and needed specific elevator access to reach those floors. The preference from the building management and the architect was to have this access out-of-sight and only available to those who needed to know about it. Adds Renee Schwab, Care Security Systems’ Chief Executive Officer, “What made the Care Security Systems’ solution so successful was our ability to source the most appropriate products and technologies for the project – without having to rely on only one or two vendors. This vendor neutrality allows Care Security Systems to offer the most advanced solutions that meet budget requirements.” The real estate development group was so pleased with the Financial District project that they contracted Care Security Systems to provide security solutions for another of the group’s New York City properties.